… It would be THIS ONE! Fall and winter don’t necessarily show up in Southern California. Because of that, we have to get our fix of the seasons in a different way. For me, that mainly consists of clothing and nail polish! 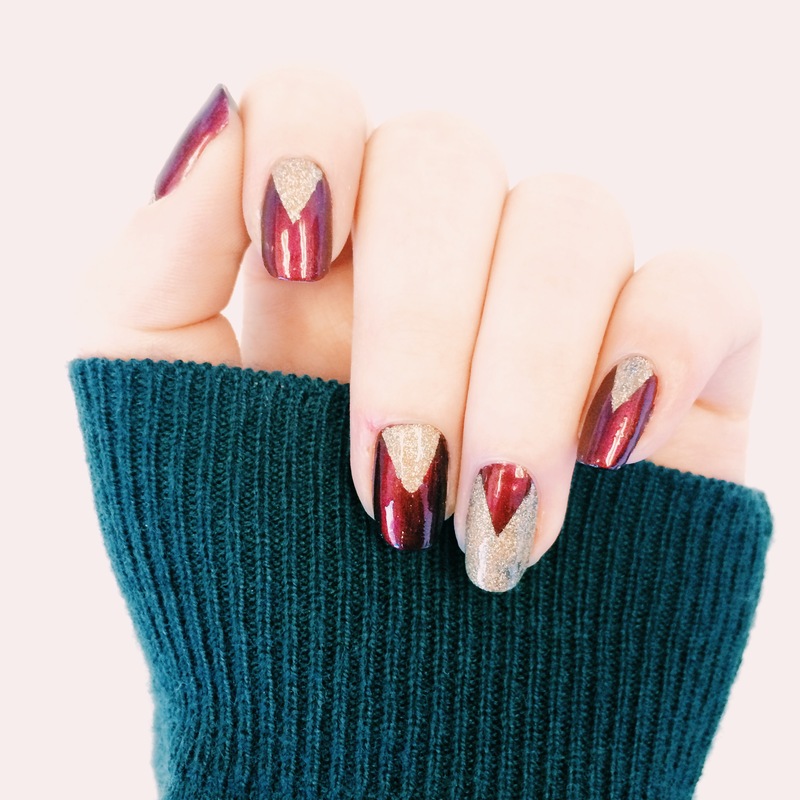 That’s what inspired this fun wine and gold chevron manicure, using Julep Fazia and Cynthia. I love these two colors together, and I’m so thrilled with the way these bad boys turned out! It is 100% one of my favorite designs I’ve done, and other folks really seemed to like them too. 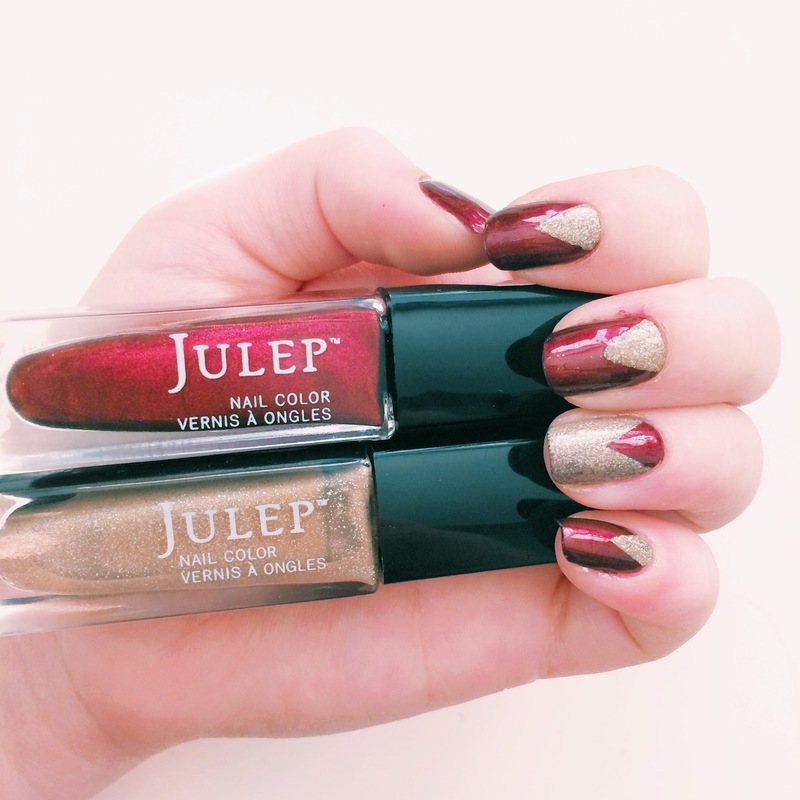 In fact, my mani was even FEATURED on the Julep Blog AND is the article’s thumbnail image! This is definitely one of THE COOLEST things I’ve experienced so far in my adventures running Novels and Nail Polish. Thanks to everyone that has supported me so far in this endeavor, because I’m having a blast and it’s all because of you guys! Do you have a go-to color combo for fall manicures? Happy Reading! I absolutely adore this mani! Perfect for fall, or even the holidays! Thank you so much!! I agree, I’ll totally be rocking it during the holidays!